They may not have won either title, but Mercedes have nonetheless progressed perhaps more than any other team on the grid from 2012 to 2013. There are still two races remaining in the 2013 season, but with 17 races done this year it’s a good time to assess just how well the team from Brackley has done. In 2012, Mercedes finished fifth in the Constructors’ Championship with 142 points. The team recorded one victory (Rosberg won in China), one pole position (again, Rosberg in China. It’s worth remembering that Schumacher qualified fastest in Monaco but had a grid penalty from the previous race) and three podium finishes. Although 2012 saw the first win for the Silver Arrows since returning to the grid in 2010, it was their least successful season in terms of the Constructors’ Championship in the same period. At the end of 2012, Mercedes were considered to be about 1.5 seconds off the pace. That’s a long, long way. It seemed impossible that Mercedes could make up that deficit in just one off-season. But that’s precisely what they did. Mercedes came out fighting in 2013, immediately challenging strongly in qualifying and delivering the sort of race pace that had been unimaginable in 2012. They struggled a bit with tyre management, which had been a problem for the team ever since Pirelli arrived on the scene in 2011. But those issues were generally manageable and were eventually sorted out. Sebastian Vettel and Red Bull have dominated the last seven races. But before that, the season was quite open, and Mercedes were strong challengers. In the first 11 races of the season, a Mercedes driver qualified on pole position 8 times – 5 for Hamilton, including 4 in a row, and 3 in succession for Rosberg – and the Silver Arrows recorded three wins – 2 for Rosberg and 1 for Hamilton. Between them, Hamilton and Rosberg have stood on the podium 9 times so far in 2013 – 5 times for Hamilton and 4 for Rosberg. They’ve each scored more points than the team as a whole managed in 2012 and both are in the top six in the Drivers’ Championship. Hamilton has a chance (albeit a small one) of finishing second in the championship. It’s more likely that he will overhaul Kimi Raikkonen for third place, as the Finn is just 8 points ahead of Hamilton with two races to go. The Mercedes team of 2013 has stood out as the most improved outfit on the grid. This season the Drivers’ and Constructors’ Championships proved out of reach, but not by nearly as much as before. The amount of performance gained in the last off-season bodes well for next year, when massive regulation changes make pre-season development perhaps more crucial than ever. Where Mercedes have perhaps fallen behind this year has been their in-season development. Winning championships is not just about producing a competitive car. The car must continually be improved and updated throughout the season or the competitive edge will be lost to other teams who are able to develop faster. This year it’s been Red Bull who have impressed most in their ability to improve their car through the season, and they have been rewarded with both championships for the fourth year in succession. It could turn out that Mercedes are more capable of in-season development than they revealed this season. Next year’s major regulation changes – new power units and various aerodynamic changes – have meant that all teams have had to allocate some resources to next year’s car quite early in the season or perhaps even before this year started. Next year there will not be such a need to split resources early on, and as a result the true development potential of the Mercedes team should be seen in on-track performance in 2014. 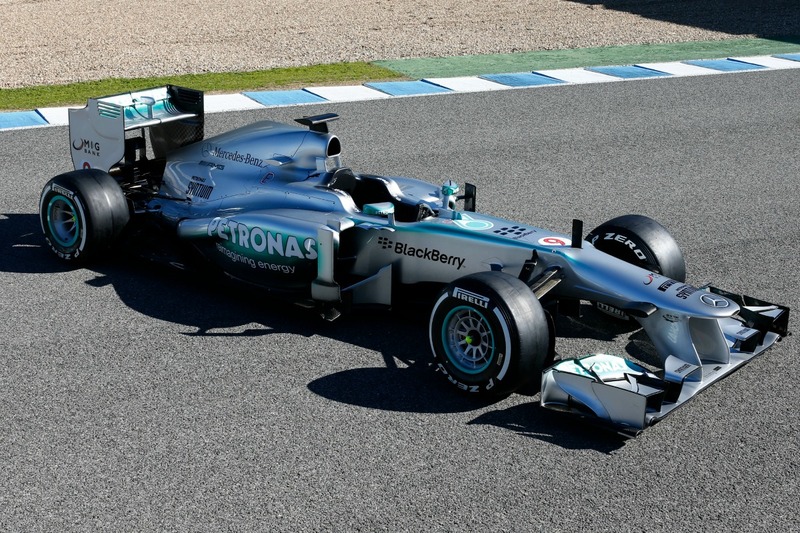 Based on their massive progress from 2012 to 2013, Mercedes can be counted on to produce a competitive car for 2014. It will almost certainly be a race-winning car and, if they continue to improve as they’ve done over the last year or so, there’s a chance it could be a championship-winning car.